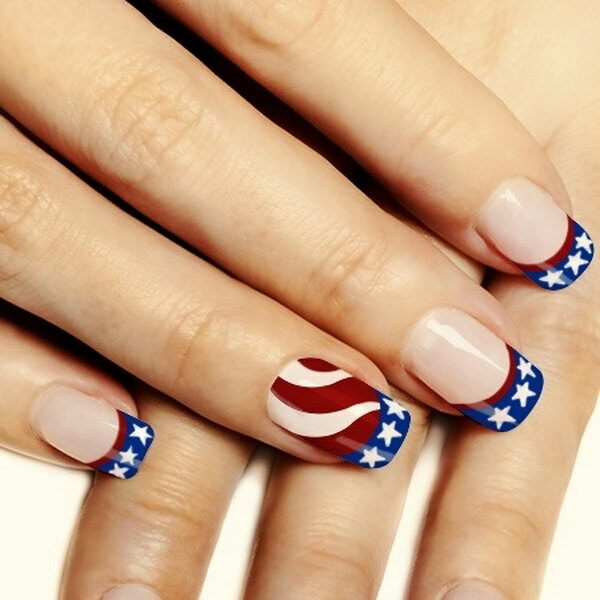 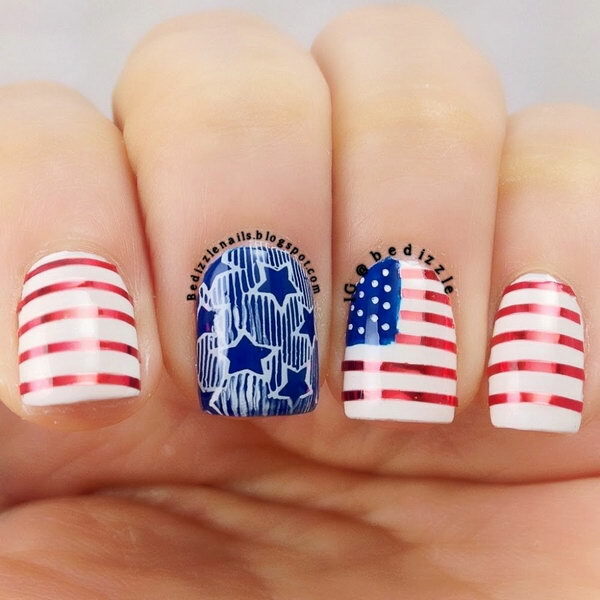 When you’re looking for classic stars and stripes 4th of July nail art ideas to steal the show on this Independence Day, I’m here to help you with that. 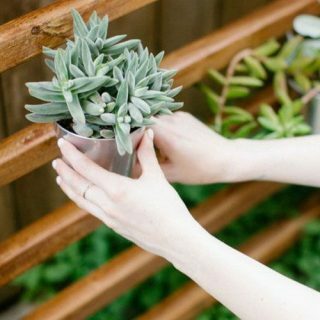 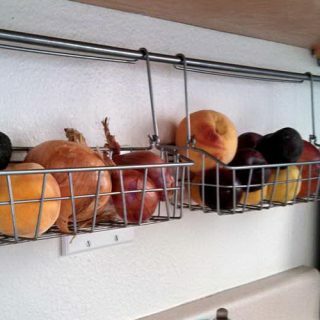 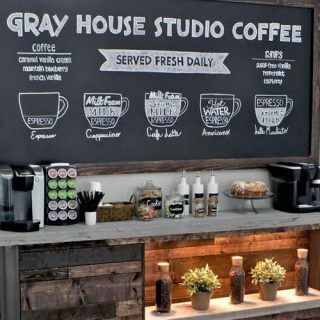 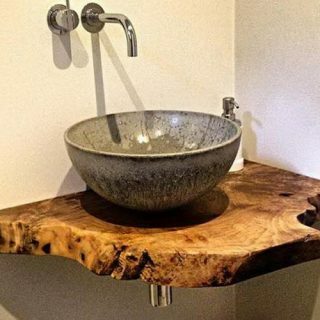 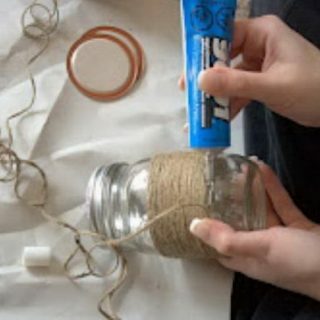 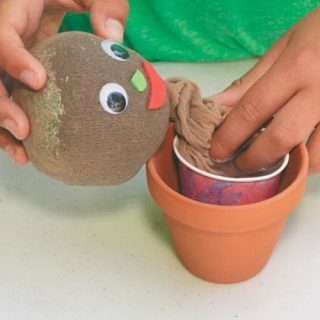 Below are some tips. 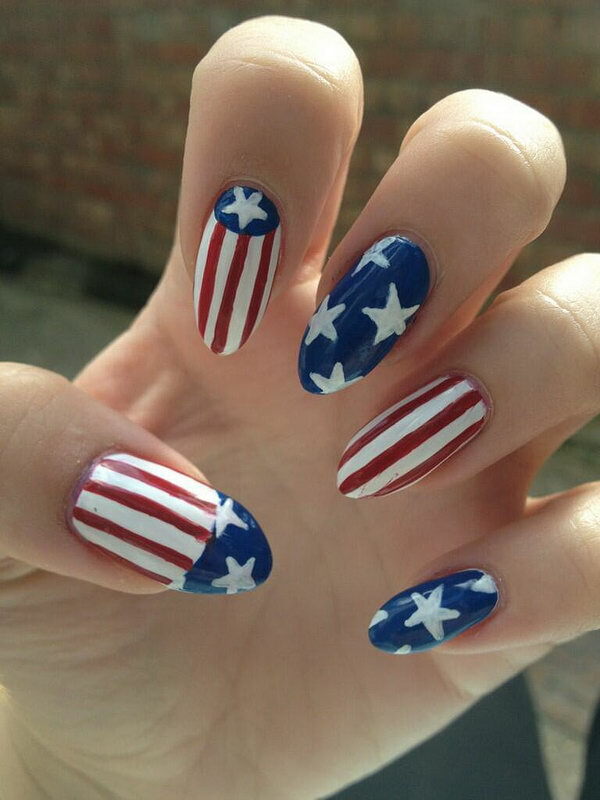 When saying the great Independence Day, the first thing that comes to your mind maybe the USA flag imprinted style. 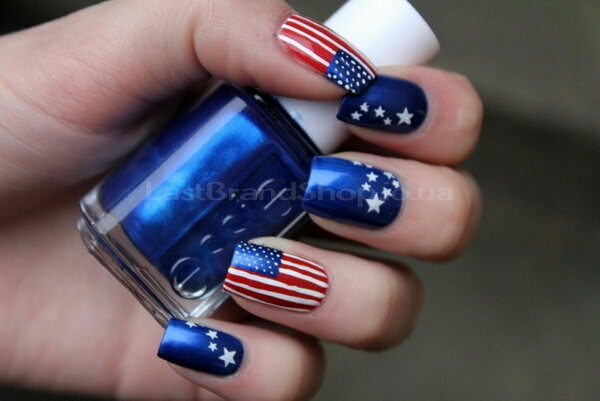 So the smartest choice is sticking to the main color palette and getting your red, white and blue on. 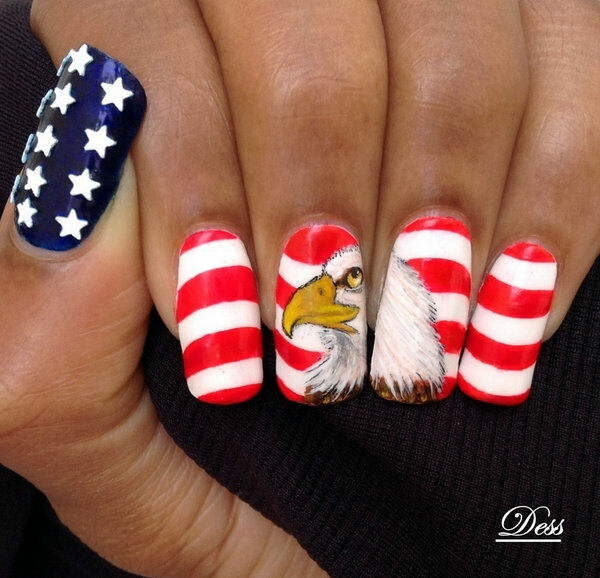 Nothing reflects the American spirit better than that color tones. 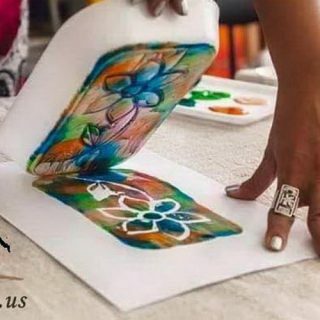 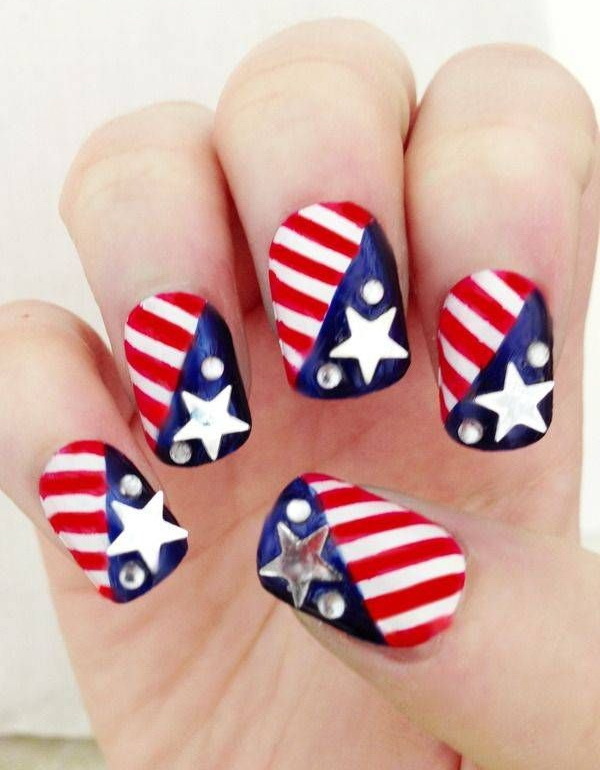 And you can play with the country’s symbols such as the American flag patterns like the stripes, stars, American eagle, the symbolic Statue of Liberty, the fireworks and more. 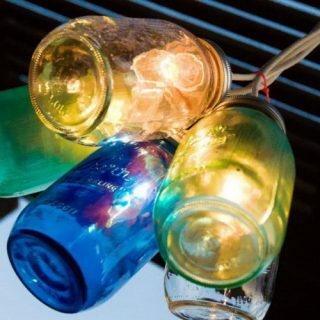 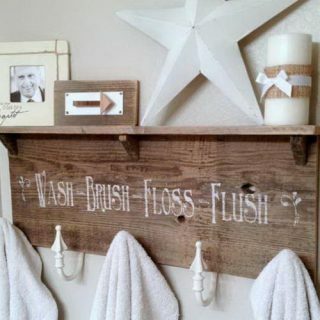 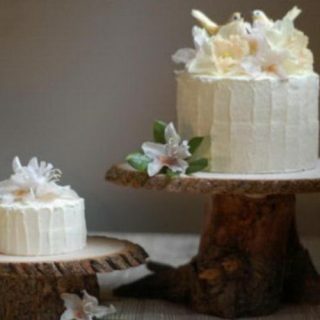 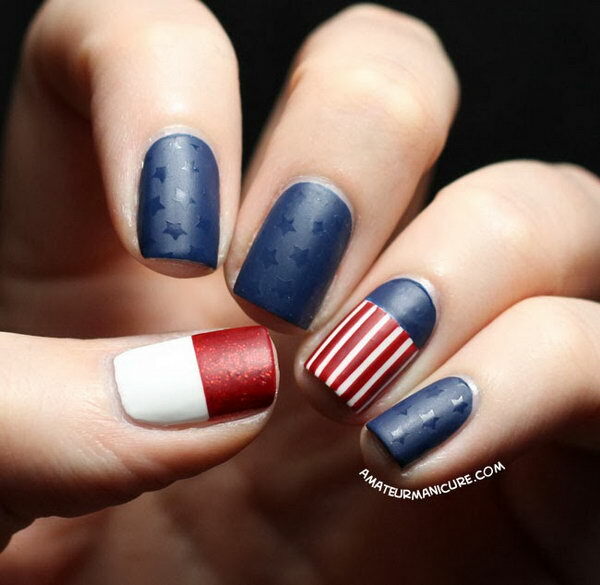 Then mix or match different themes and styles to paint a pretty patriotic picture in red, white and blue tones. 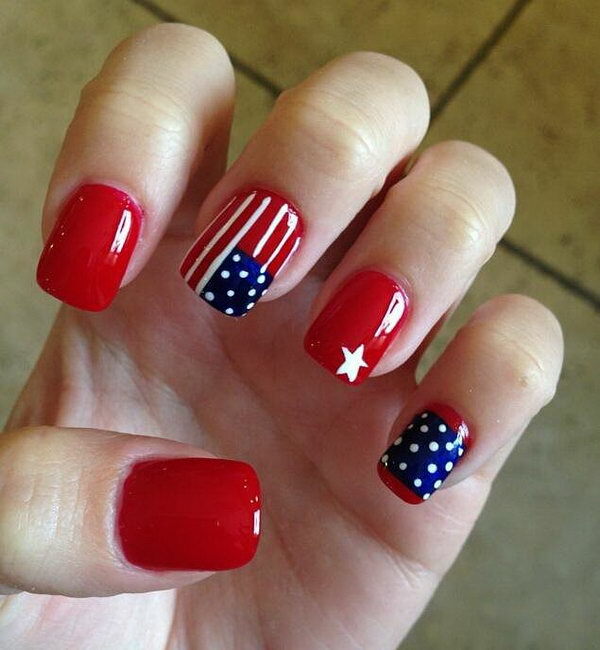 You can also plus a little fun to a traditional stars-and-stripes manicure with a glittery gold accent nail. 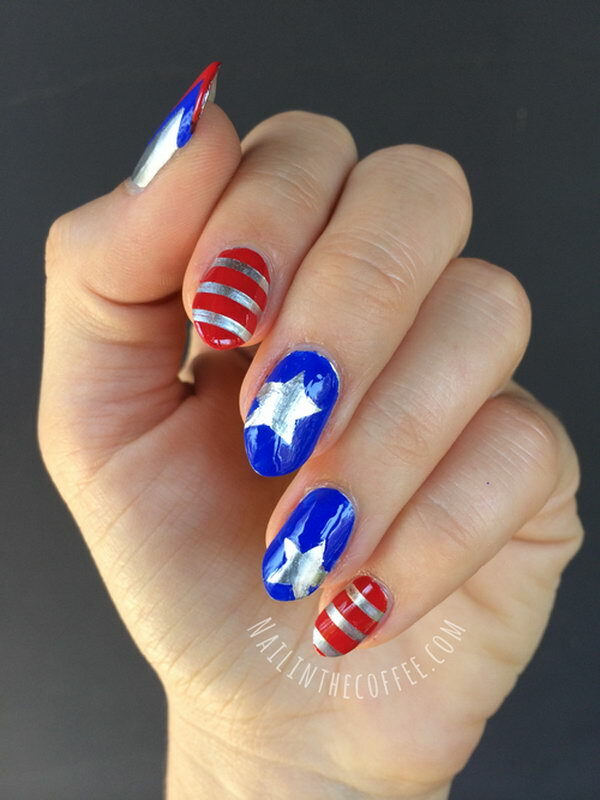 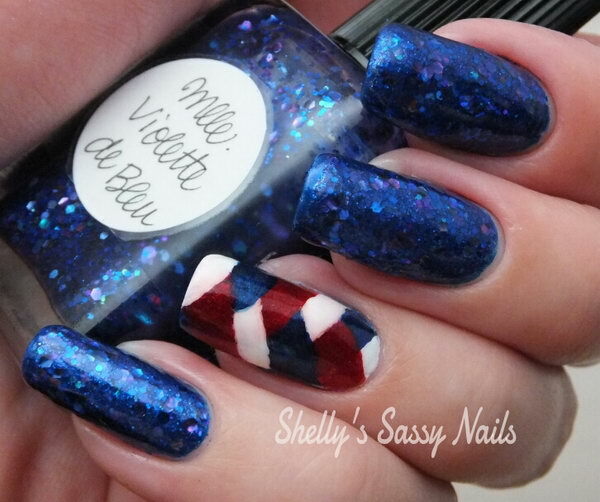 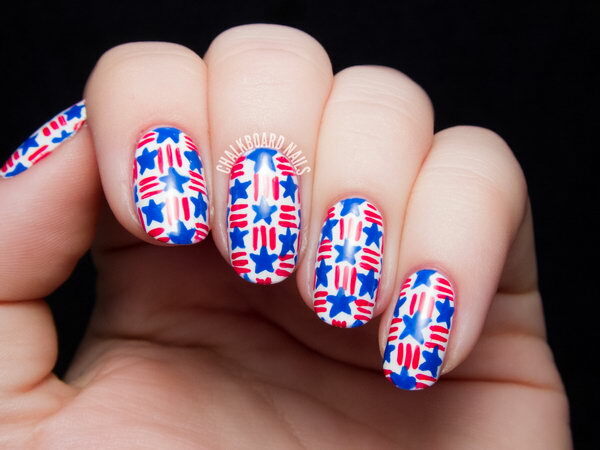 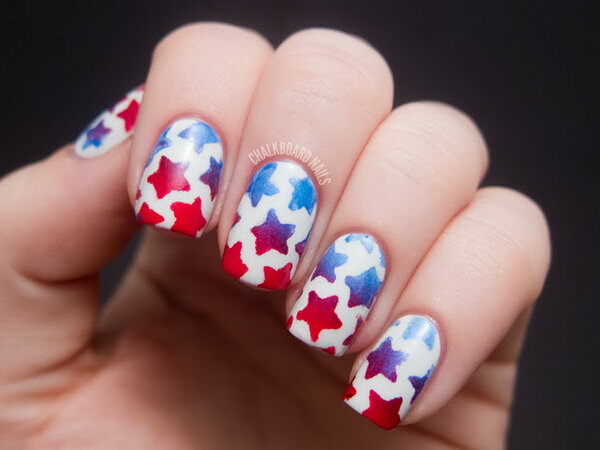 I’ve rounded up some of my favorite 4th of July stars and stripes nail art designs, ideas, trends & stickers below so you can get your fancy, maybe a little original and maximum striking nail look. 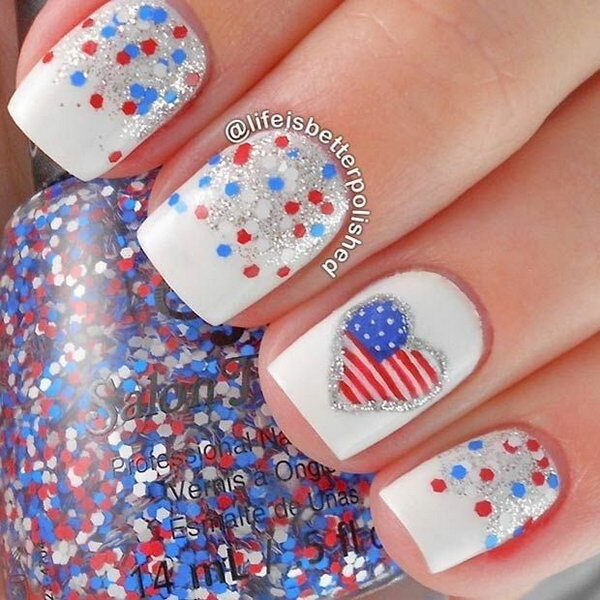 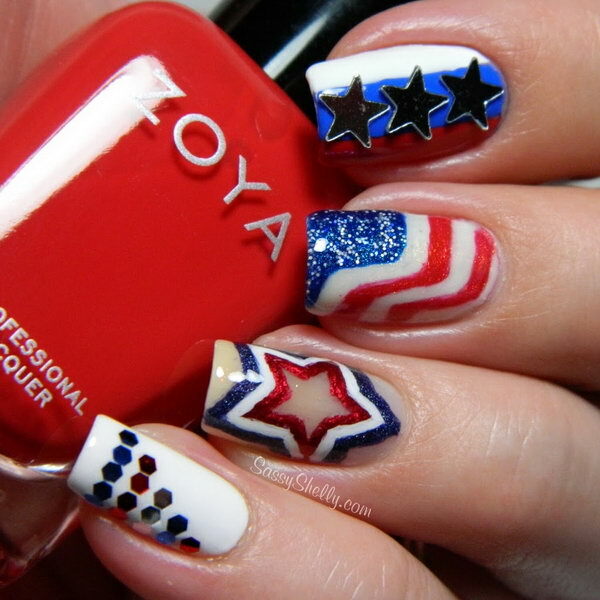 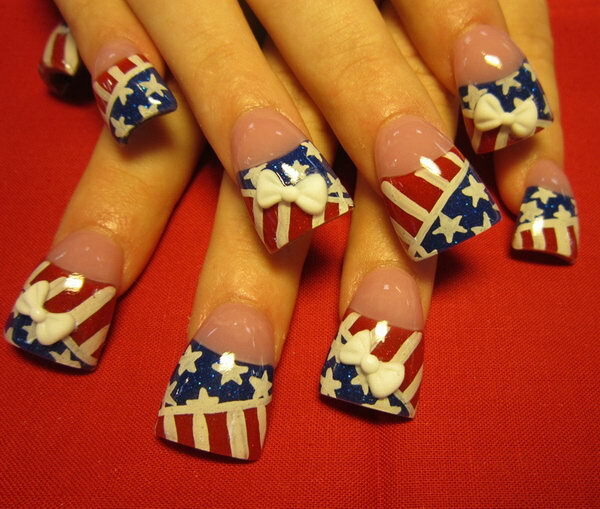 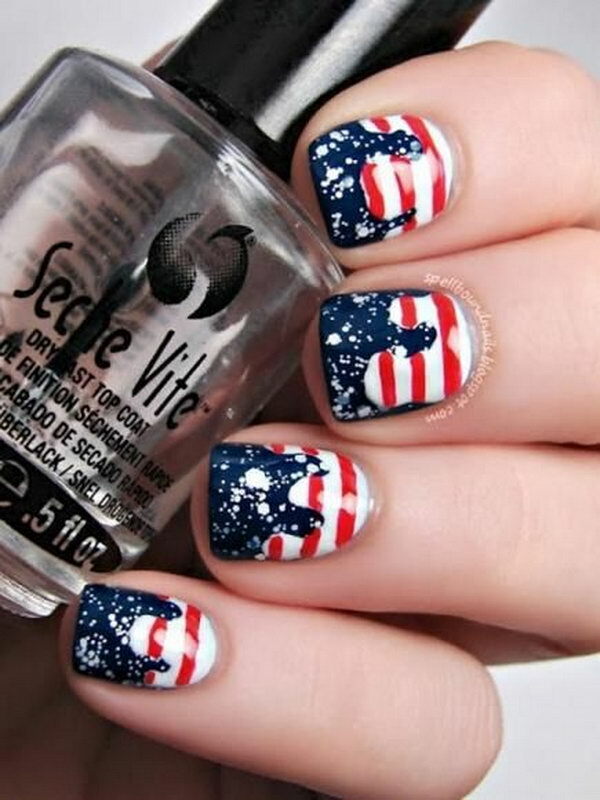 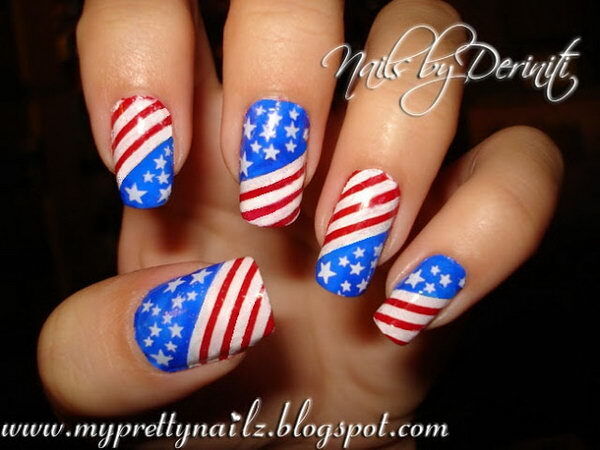 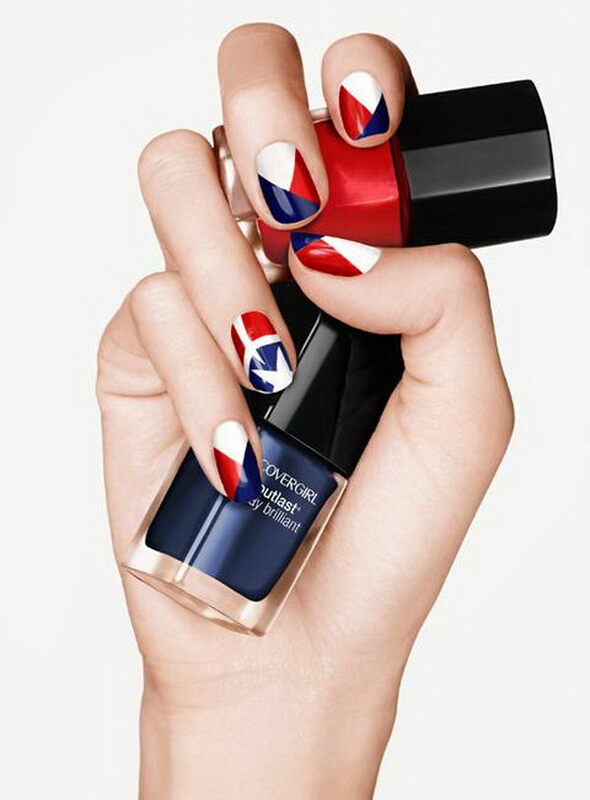 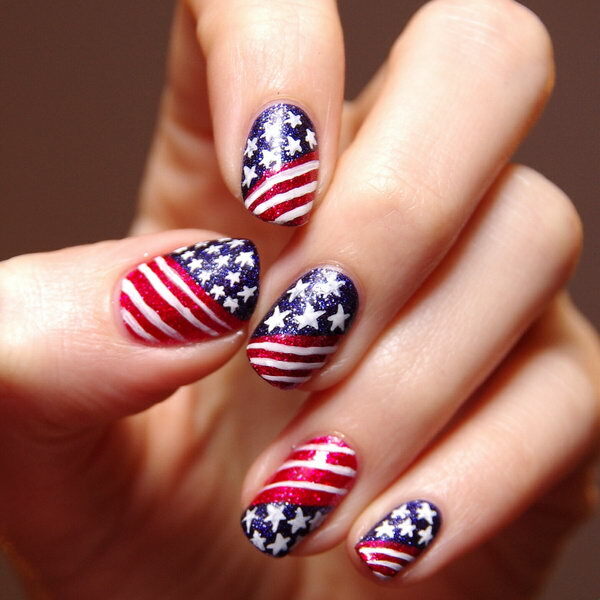 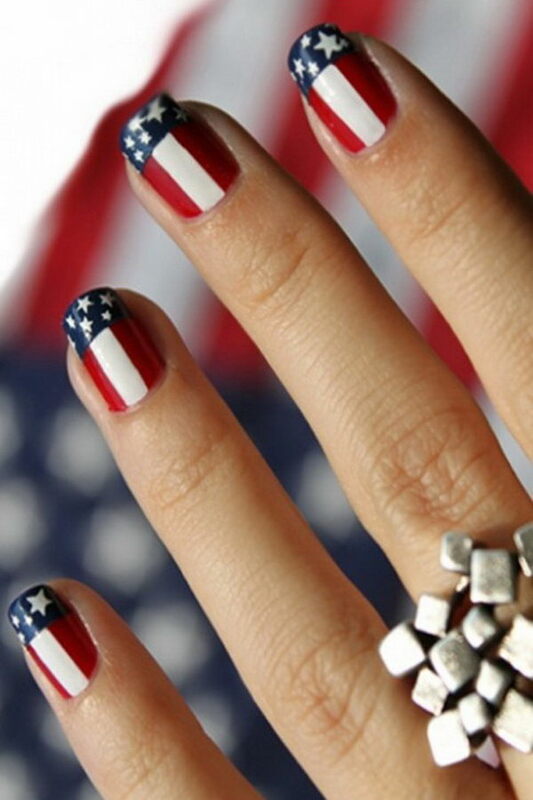 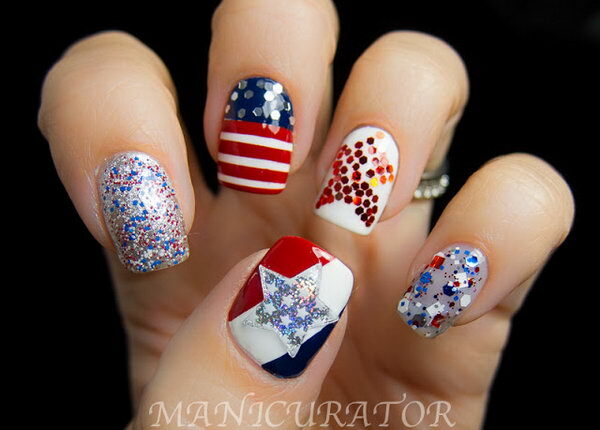 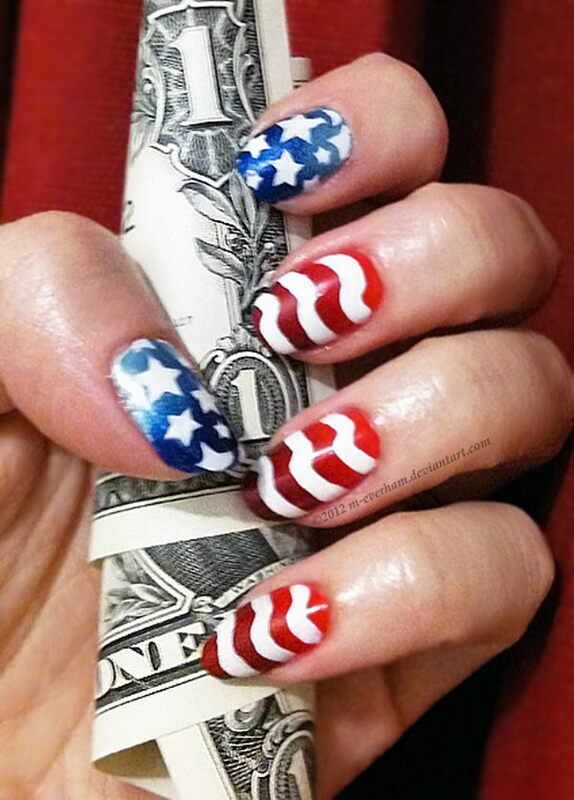 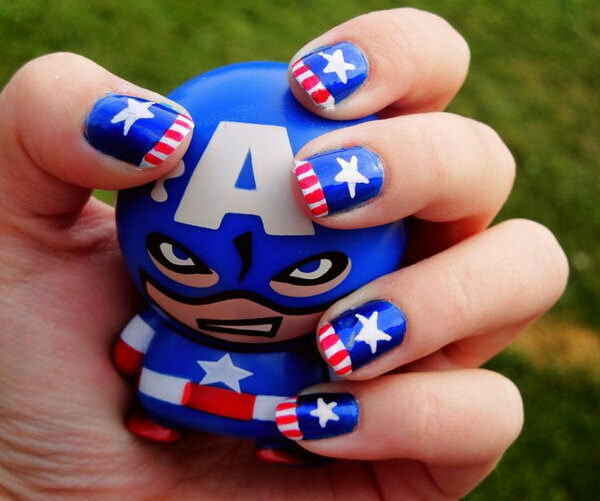 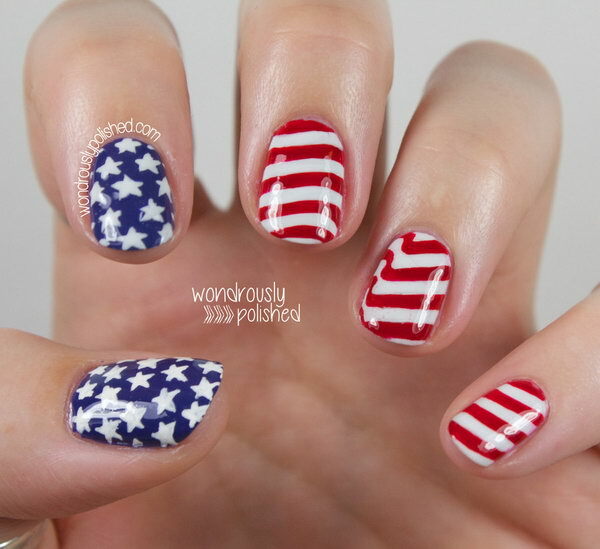 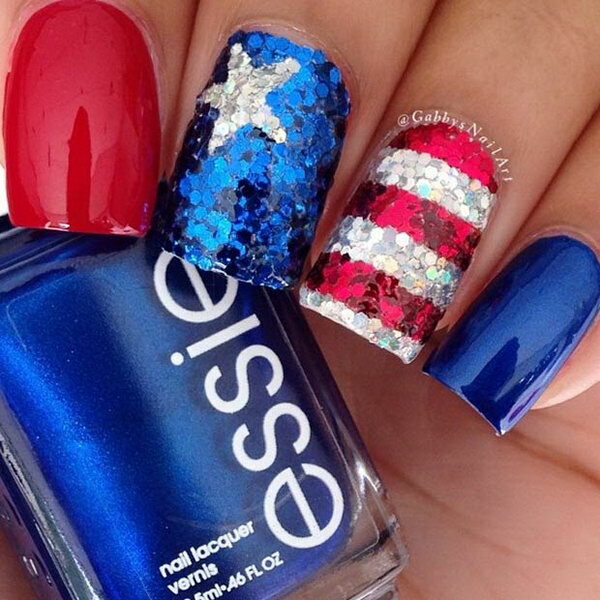 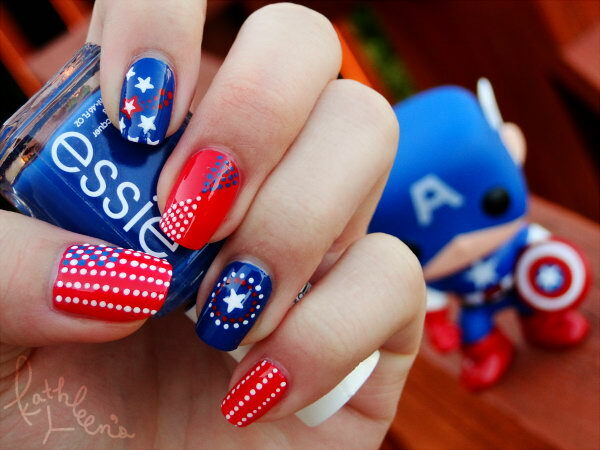 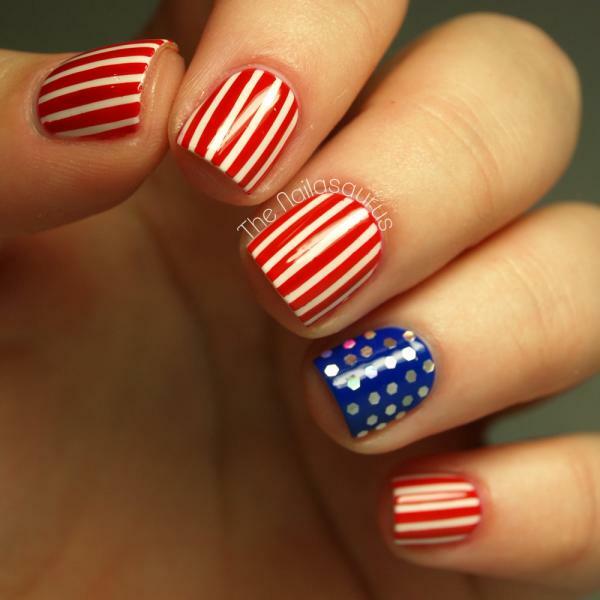 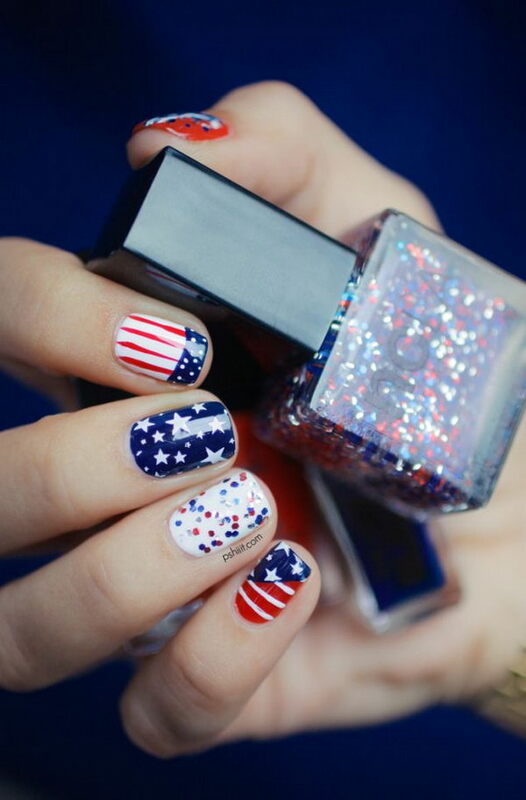 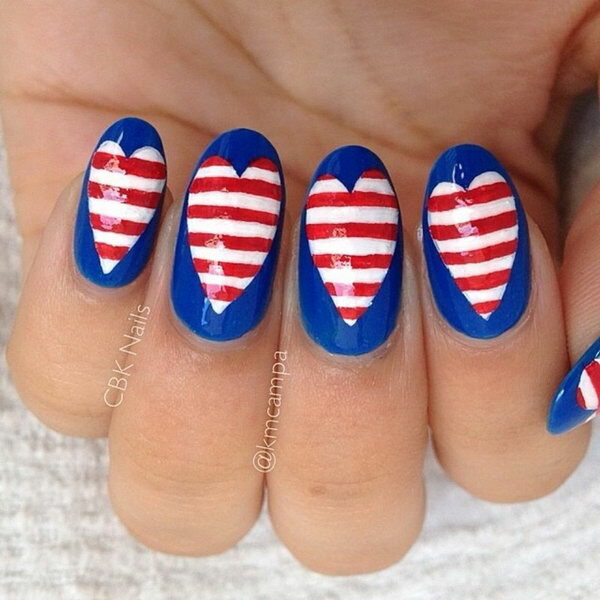 Have a look at the collection of 4th of July nails and celebrate the Independence Day with peace and harmony.